Are your child's eyes getting worse year after year? Some children who develop myopia (nearsightedness) have a continual progression of their myopia throughout the school years, including high school. And while the cost of annual eye exams and new glasses every year can be a financial strain for some families, the long-term risks associated with myopia progression can be even greater. Myopia is one of the most common eye disorders in the world. The prevalence of myopia is about 30 to 40 percent among adults in Europe and the United States, and up to 80 percent or higher in the Asian population, especially in China. And the incidence and prevalence of myopia are increasing. For example, in the early 1970s, only about 25 percent of Americans were nearsighted. But by 2004, myopia prevalence in the United States had grown to nearly 42 percent of the population. Myopia — like all refractive errors — is measured in diopters (D), which are the same units used to measure the optical power of eyeglasses and contact lenses. Lens powers that correct myopia are preceded by a minus sign (–), and are usually measured in 0.25 D increments. Mild myopia typically does not increase a person's risk for eye health problems. But moderate and high myopia sometimes are associated with serious, vision-threatening side effects. When this occurs in cases of high or very high myopia, the term degenerative myopia or pathological myopia sometimes is used. Adults with high myopia usually started getting nearsighted when they were young children, and their myopia progressed year after year. Myopia and cataracts. In a recent study of cataracts and cataract surgery outcomes among Koreans with high myopia, researchers found cataracts tended to develop sooner in highly myopic eyes compared with normal eyes. And eyes with high myopia had a higher prevalence of coexisting disease and complications, such as retinal detachment. Also, visual outcomes following cataract surgery were not as good among highly nearsighted eyes. In an Australian study of more than 3,600 adults ages 49 to 97, the odds of having cataracts increased significantly with greater amounts of myopia. Plus, the odds of having a particular type of cataract was twice as high among subjects with high myopia compared with those with low myopia. Myopia and glaucoma. Myopia — even mild and moderate myopia — has been associated with an increased prevalence of glaucoma. 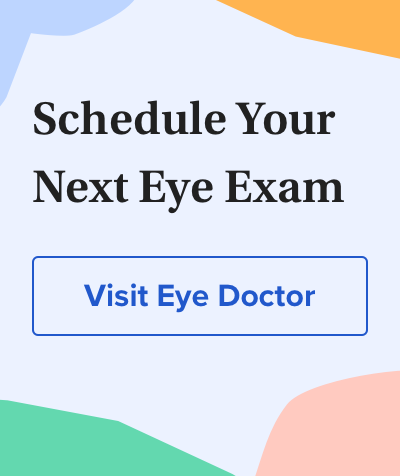 In the same Australian study mentioned above, glaucoma was found in 4.2 percent of eyes with mild myopia and 4.4 percent of eyes with moderate-to-high myopia, compared with 1.5 percent of eyes without myopia. The study authors concluded there is a strong relationship between myopia and glaucoma, and that nearsighted participants in the study had a two to three times greater risk of glaucoma than participants with no myopia. Also, in a Chinese study, glaucoma was significantly associated with the severity of myopia. Among adults age 40 or older, those with high myopia had more than twice the odds of having glaucoma as study participants with moderate myopia, and more than three times the odds of having the disease compared with individuals with mild myopia. Compared with participants who either had no myopia or were farsighted, those with high myopia had a 4.2 to 7.6 times greater odds of having glaucoma. Myopia and retinal detachment. In a study published in American Journal of Epidemiology, researchers found myopia was a clear risk factor for retinal detachment. Results showed eyes with mild myopia had a four-fold increased risk of retinal detachment compared with non-myopic eyes. Among eyes with moderate and high myopia, the risk increased 10-fold. The study authors also concluded that almost 55 percent of retinal detachments not caused by trauma are attributable to myopia. In the Korean study mentioned above, among participants with high myopia due to elongated eye shape (axial myopia), the incidence of retinal detachment after cataract surgery was 1.72 percent, compared with 0.28 percent among participants with normal eye shape. In a study conducted in the UK of the incidence of retinal detachment after cataract surgery, 2.4 percent of highly myopic eyes developed a detached retina within seven years following cataract extraction, compared with an incidence of 0.5 to 1 percent among eyes of any refractive error that underwent cataract surgery. The best thing you can do to help slow the progression of your child's myopia is to schedule annual eye exams so your eye doctor can monitor how much and how fast his or her eyes are changing. Often, children with myopia don't complain about their vision, so be sure to schedule annual exams even if they say their vision seems fine. If your child's eyes are changing rapidly or regularly, ask your eye doctor about ortho-k contact lenses or other myopia control measures to slow the progression of nearsightedness. Prevalence of refractive errors in the European adult population: the Gutenberg Health Study. British Journal of Ophthalmology. February 2014. Clinical characteristics and outcomes of cataract surgery in highly myopic Koreans. Korean Journal of Ophthalmology. April 2011. Prevalence and progression of myopic retinopathy in Chinese adults: the Beijing Eye Study. Ophthalmology. September 2010. Increased prevalence of myopia in the United States between 1971-1972 and 1999-2004. Archives of Ophthalmology. December 2009. The incidence and rate of rhegmatogenous retinal detachment seven years after cataract surgery in patients with high myopia. Ulster Medical Journal. May 2009. High myopia and glaucoma susceptibility: the Beijing Eye Study. Ophthalmology. February 2007. Prevalence of myopia in local and international schools in Hong Kong. Optometry & Vision Science. May 2004. Prevalence of myopia in Taiwanese schoolchildren: 1983 to 2000. Annals, Academy of Medicine, Singapore. January 2004. Refractive associations with cataract: the Blue Mountains Eye Study. Investigative Ophthalmology & Visual Science. November 1999. The relationship between glaucoma and myopia: the Blue Mountains Eye Study. Ophthalmology. October 1999. Risk factors for idiopathic rhegmatogenous retinal detachment. American Journal of Epidemiology. April 1993. Myopia control: Is there a cure for nearsightedness? Can a Person be Nearsighted in One Eye and Farsighted in the Other? Can Being Nearsighted Cause Headaches? Can myopia lead to blindness?